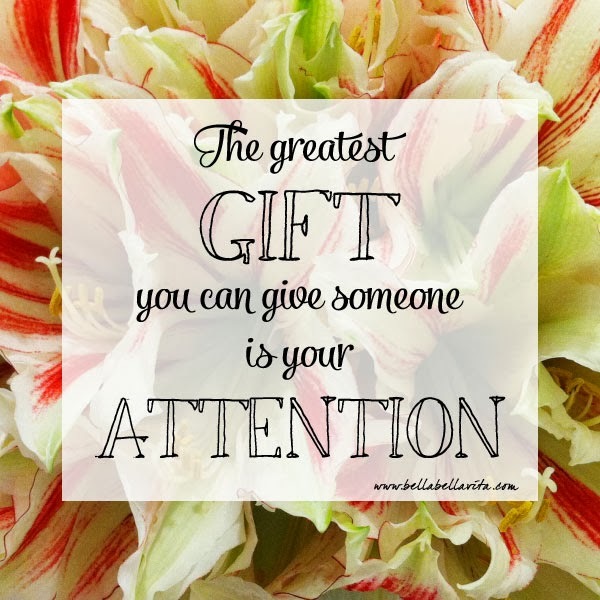 In today's world full of distractions, our undivided attention is perhaps the greatest give we can give. Truly listening and looking the person in the eye and fully taking in what they are saying. No texting or talking on cell phones or watching TV. Being fully present in the moment. THAT is a great gift!